This savage predatory Kreature is designed for combat in harsh wastelands. With its bone crushing jaws, it will completely dismember and consume a carcass, even digesting fur, hooves and teeth. 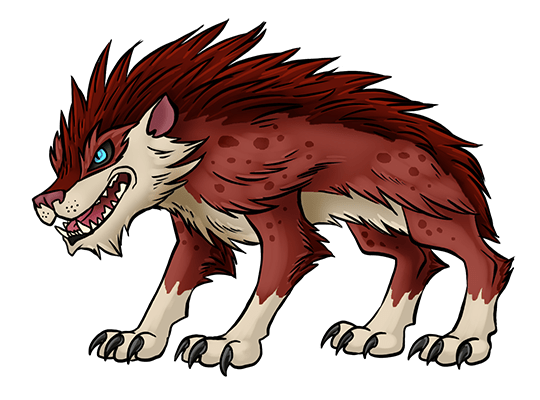 It has a concussive roar which can smash and destroy targets at long range with ultrasonic vibrations, and can slice through thick hide by vibrating its claws at high frequency. Its fur is abrasive, like strands of steel, which grants it limited protection during melee combat, especially along its neck and back. The female Beastrox is 15% larger than the male on average. After mating, she will chase him away, as he lacks paternal instincts and will eat his own cubs if he sticks around.